I just love everything about L’OCCITANE, their products, their packaging, their stores and their social responsibility. I was amazed to see Braille being used on all their packaging – that’s what I call intelligent design. The complete product range has an earthy Mediterranean look and feel and the stuff is just too good to write about. Try their verbena range I am sure you will be hooked for life. 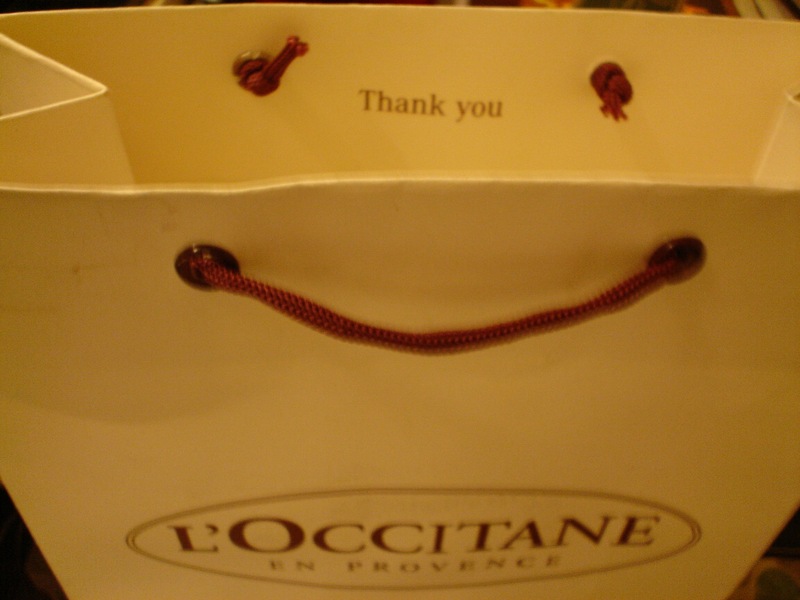 The inside lining of their paper bags have “Thank You” printed on them. These little things add value to a brand. When a company spends time and thought at small things like these, then their products definitely have gone through a lot of research and refinement. This is the way to strong brand recall and loyalty. In today’s world there is stiff competition in every field and small things like these make a company stand out from the rest.